Many of my friends are being diagnosed with the “Empty Chair Syndrome”. 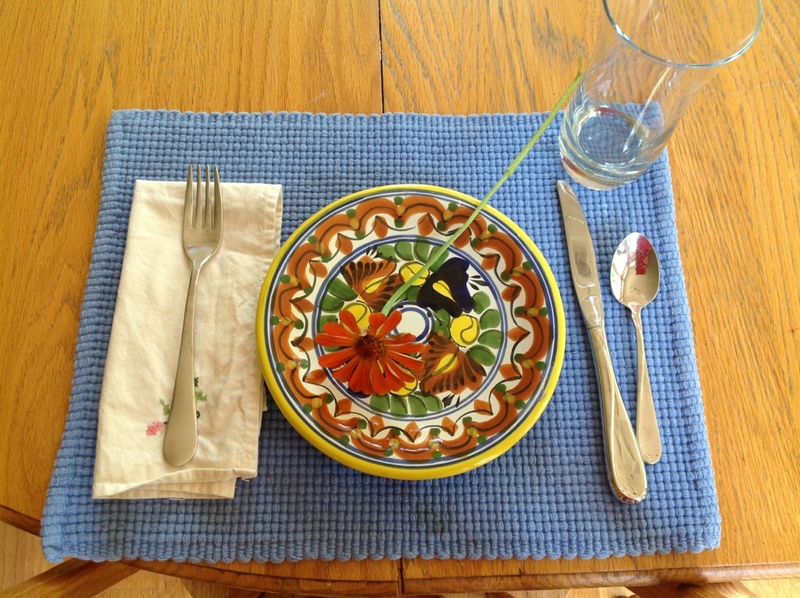 You all know what it is….you’ve set the table every night for 18 years, in my case for five people, and now all of a sudden, you have one less chair to set for. We just spent the last year experiencing “this will be the last….” fill in the blank….soccer game, first day of school, school lunch packed. You get the idea. 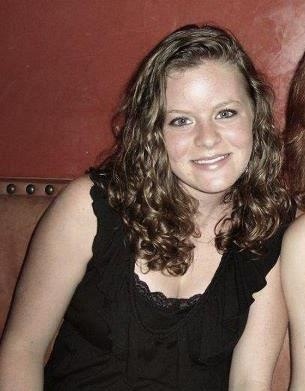 I remember when I dropped this pretty young thing off at the College of Charleston three years ago. There was so much going on before the big move-in day, that by the time we’re hauling boxes up I was too stressed and tired to be sad. It didn’t hit me until a week or so later, when I was driving to a cross country meet being held at a school I had not been to before. Mary Claire had run for the high school team for four years, so I was accustomed to arriving around 4:45. This particular day I thought I was running a bit behind for Adam’s race. It took longer than expected at the sub shop and I went a couple of miles down the wrong road. My heart started to race and I could feel the dam beginning to break. I was trying so hard to be at the meet before 5:00 when the girls raced. Then it dawned on me….Mary Claire wasn’t racing! She wasn’t even there! She was in Charleston! Whaaaaaaa! I was crying so hard I could barely see. At a stoplight, a kind gentleman pulled up beside me, rolled down his window and asked if I was alright. I sputtered out that I was just fine! Whaaaaa! This past weekend we took two kids off to college. (Which you can read about here.) Again, like it was three years ago, it was a very busy time getting ready for the move. But this time I am more excited for them than I am sad. I know that Superman and I did the best we knew how to raise them. There is still lots of growing up to do, but that is one of the benefits of going away to college. I am confident that they will make mistakes and do things they wish they hadn’t. Luckily, they are doing it in a relatively safe environment and still have a loving home to regroup in if need be. Now that Thomas doesn’t get home from cross country practice until 5:45, I found myself in my craft room. 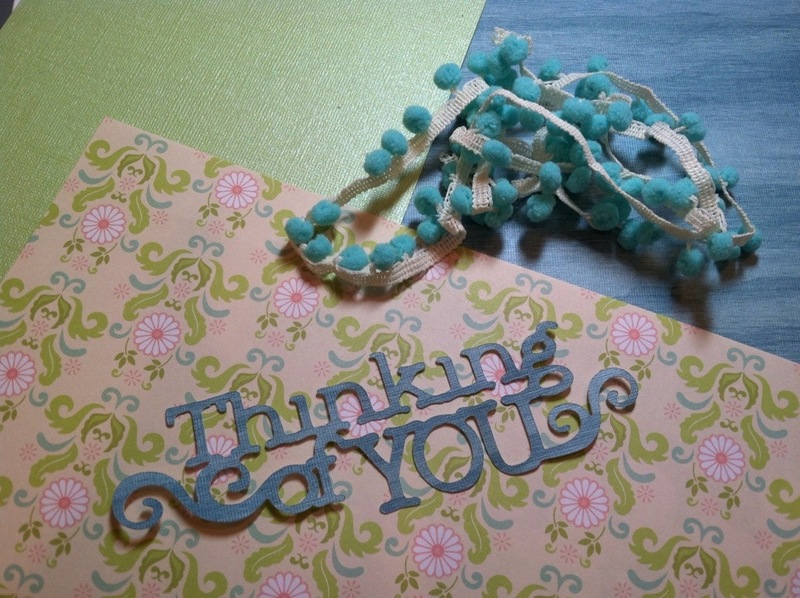 I saw these pretty papers and was inspired to make some cards for my friends going through the empty chair syndrome. Some of my friends just sent their first off and others sent their last. I’m sure we are all having the same mixed emotions of joy and sadness. 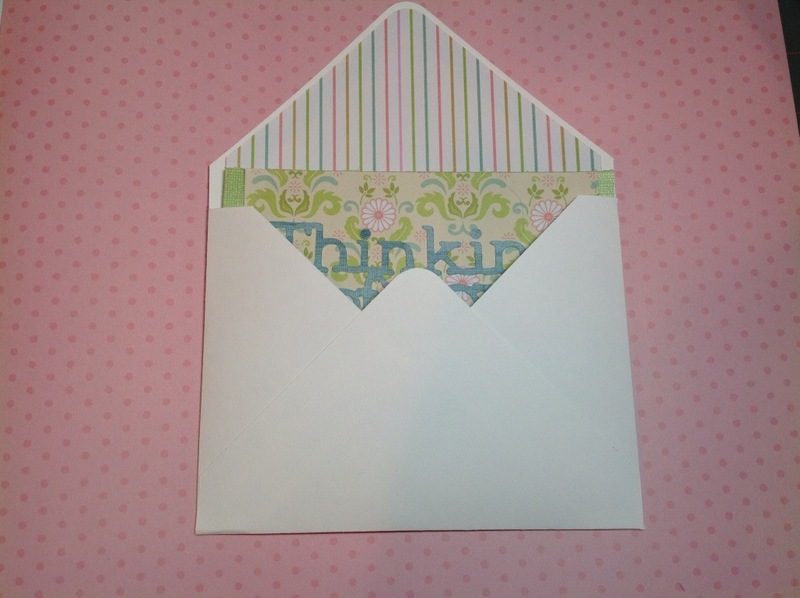 Hopefully, if these sweet mommas are having a bad day, they will be uplifted with some kind words in a pretty card. Is there someone you know who could use a hug, a smile or kind words of encouragement? It will mean so much to them….do it. 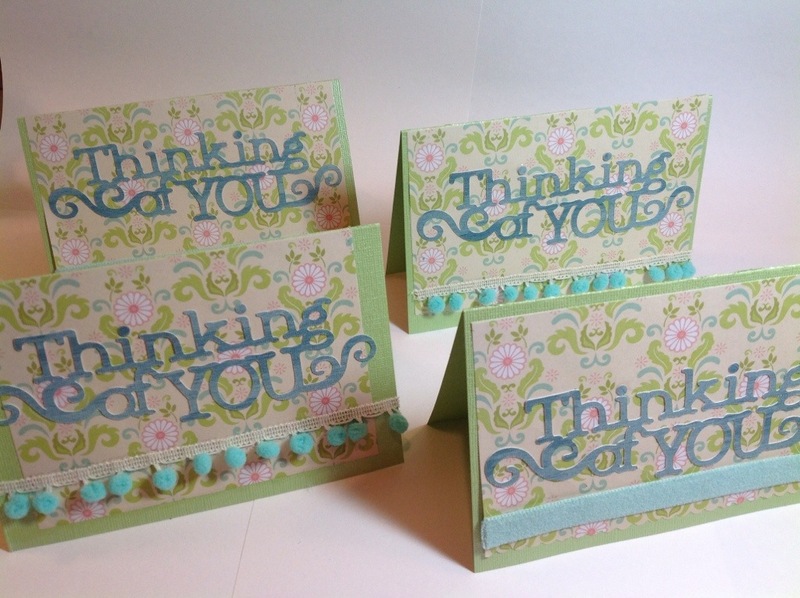 Call them, text them or send a card. 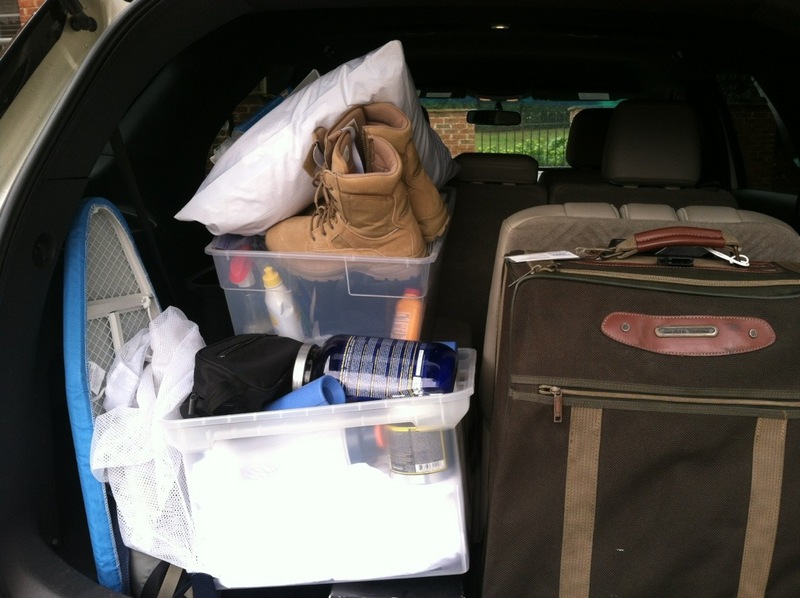 It’s that time of year, when many parents of 18 year olds are loading up their cars and moving their children into college dorms for the first time. 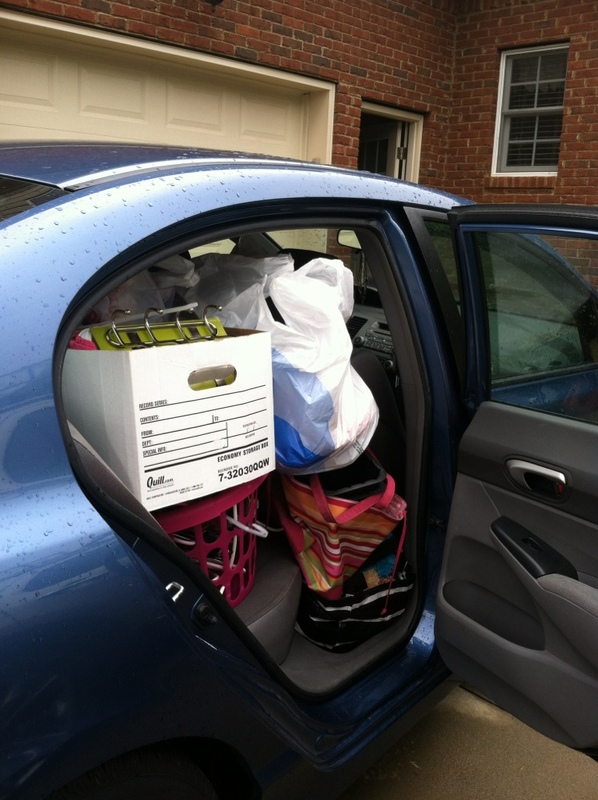 This is actually a picture of our daughter’s car, packed to the gills, everything but the kitchen sink, filled with the essentials to begin her senior year. This is a picture of our oldest son’s belongings to begin his freshmen year. His simple packing includes two boxes and a suitcase. 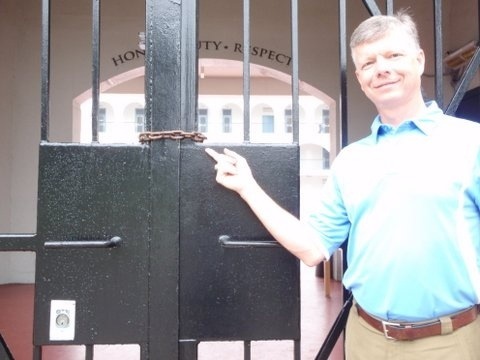 He is taking the road less traveled to an institution that reveres honor, duty and respect, The Citadel, the Military College of South Carolina. While at many colleges and universities, the student can request his or hers roommate, here at El Cid you get what you are given. For whatever stars were aligned when the placements were made, Adam was so lucky to have an old friend be assigned to his same company. 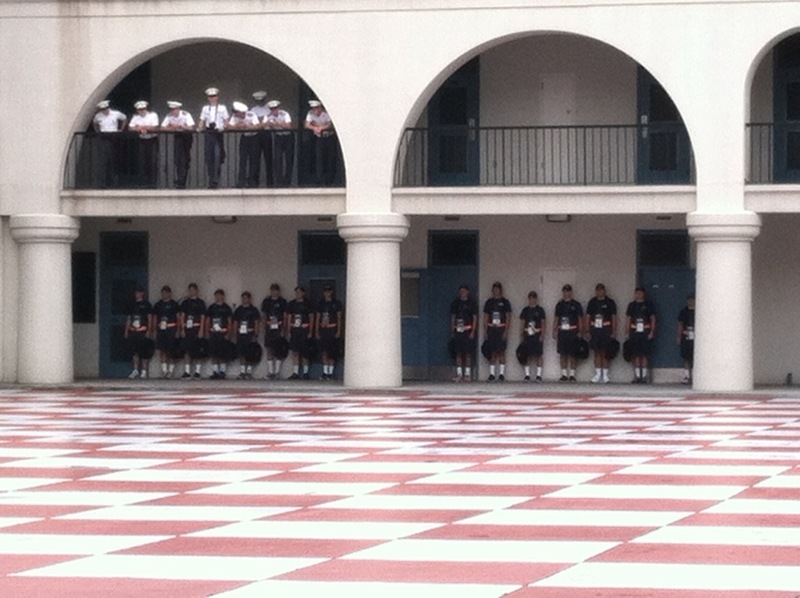 It is said that during this first year, the cadets will form true, lifelong friendships. We had just finished the Gathering, a service held in the Summerall Chapel on campus, where the families and cadets sang and prayed for this new adventure. 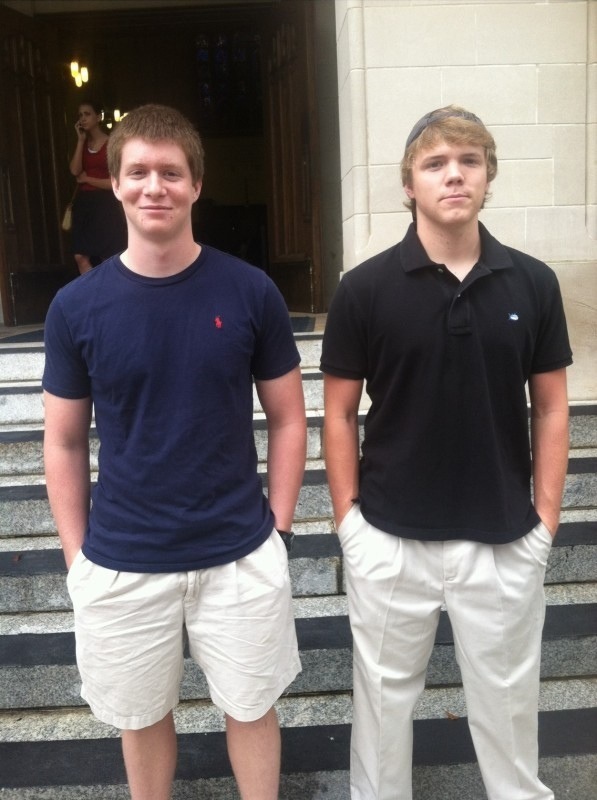 It was a blessing to pray beside him one last time until Thanksgiving. It was a good time the two guys to joke around and prepare for the next day. 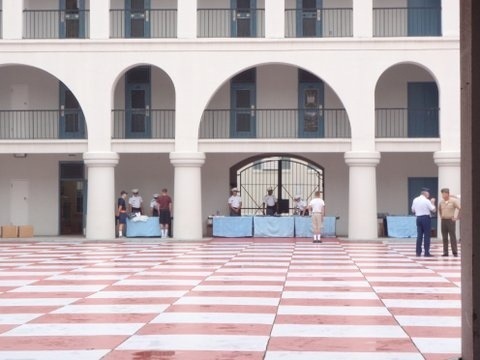 We arrived to Matriculation Day at 7:00 am to a snake of cars winding their way to the gate where the cadets received their company assignments. We then drove to the side of First Battalion, called Murray Barracks, where Adam’s company is located. We were greeted by an army of blue shirted parent volunteers. 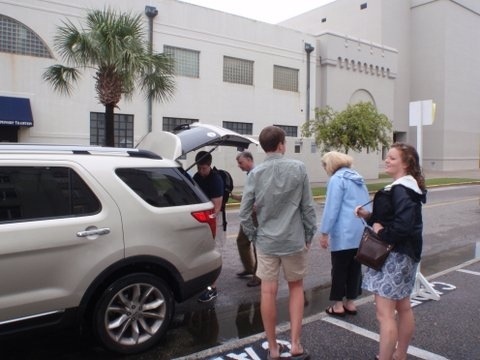 These moms and dads of upperclassmen helped us unload our car, get us oriented, answered questions, and offered comfort and support to the uncertainty some of us were feeling. Immediately, Adam reported to the table hosted by upperclassmen, to give up his phone and change into his new PT uniform. A few minutes later, Adam came out slightly panicked because he had the wrong type of socks on. We bought 15 pairs of “no show” white socks. Oops! It was suppose to be white crew length. 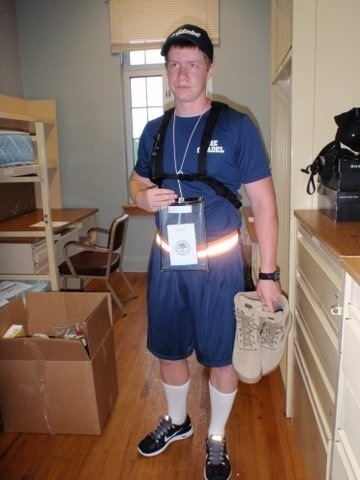 A new “brother” of the corps let him borrow a pair. We helped him carry his stuff to his room. It was whispered to me that us girls should not carry anything heavier than a pillow. Okie dokie! 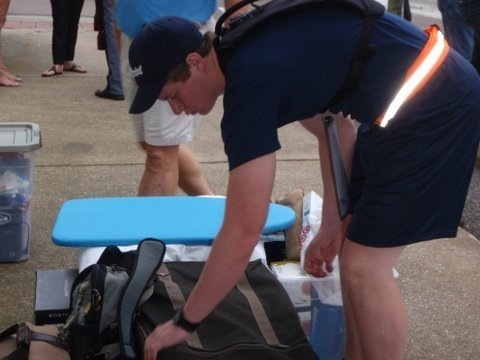 Adam carried, not rolled, his large suitcase. You don’t need to give the upperclassmen any reason to rag you. 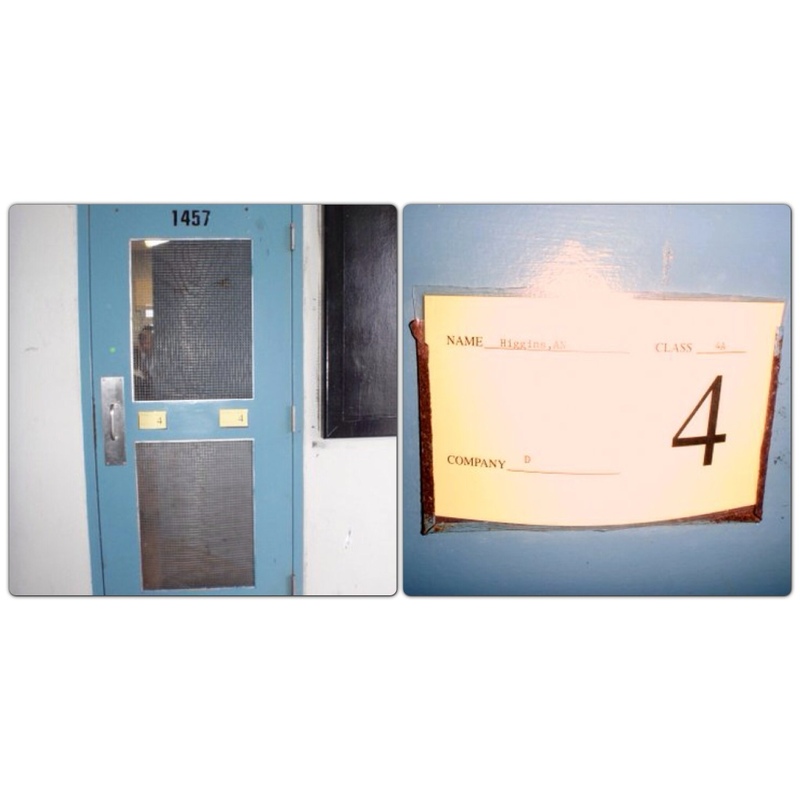 This is it…home sweet home. Nothing fancy, but it will be a place to rest his head at night. The gate is padlocked shut. More than anything to keep the parents from stealing their babies away. 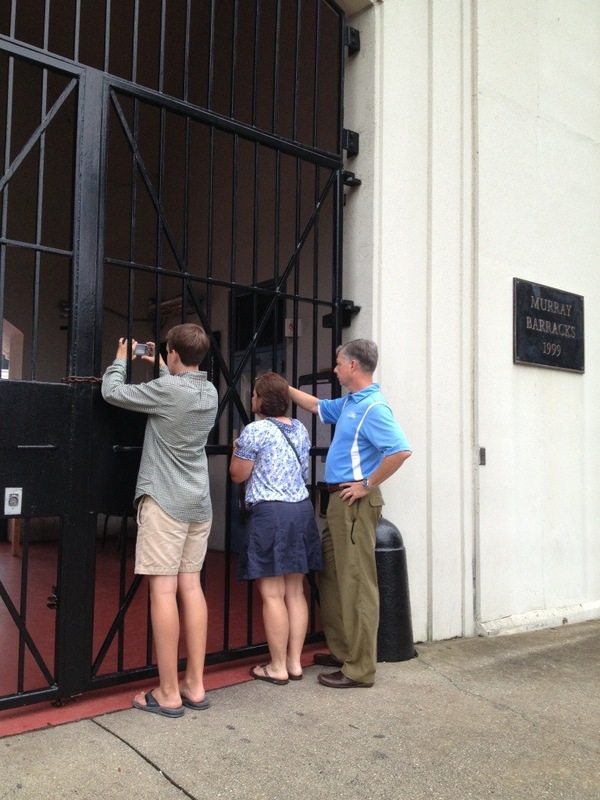 Who is that crazy momma clinging to the gate looking for her boy? The knobs line up and wait for the cadre to arrive. I can only imagine that even the bravest of those young men and ladies were shaking with nerves seeing these guys marching in. And so the instruction begins. I crawled on my hands and knees through the crowd at the gate in hopes I could get a peek at my boy. First march to mess. I really hope his cadre doesn’t see him smirking. They have ways of removing smirks. My heart was beating so fast in pride for him. Families left that day with mixed emotions. 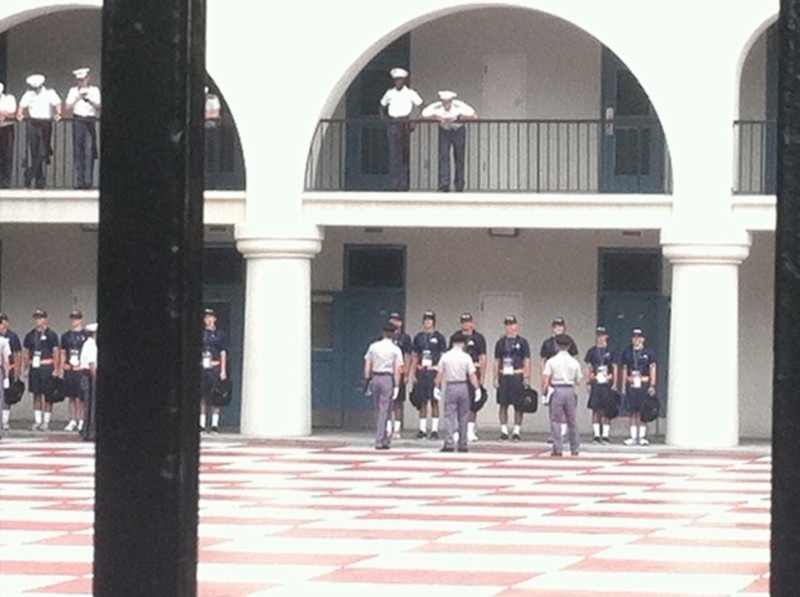 We all want to know what they are doing, but the cadets have no phone or Internet for ten days.TEN DAYS!!! Ugh! I want to know everything! 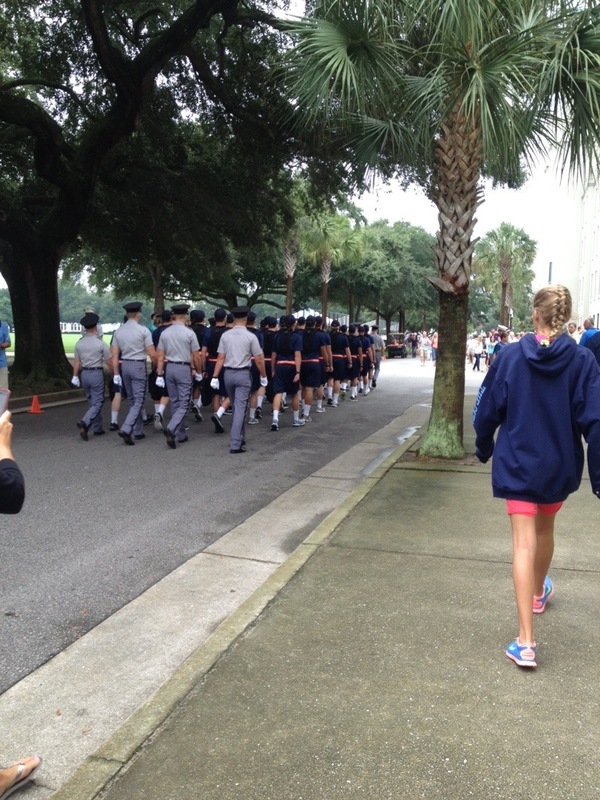 Luckily for us, The Citadel has been posting pictures of their activities. See here? 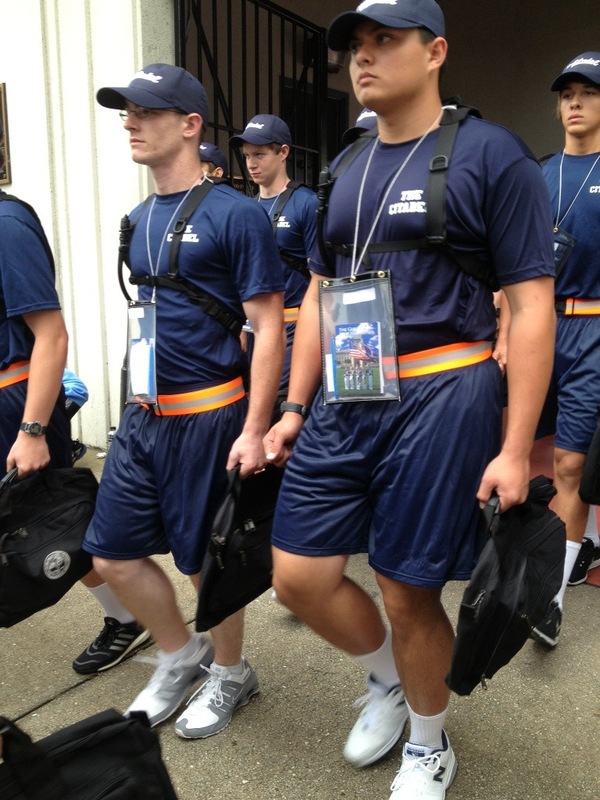 They are having loads of fun memorizing The Guidon while waiting in line for supplies. Looks like they visited the barber too! 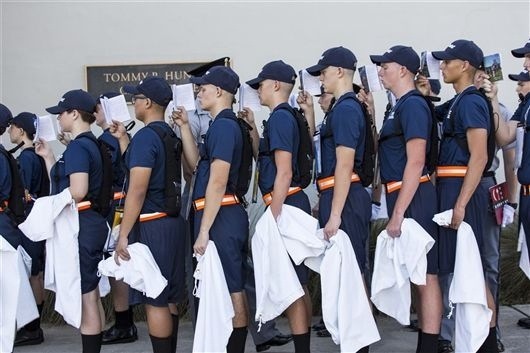 The knobs are taking the Citadel oath to commit themselves to serve others, strict discipline and high honor and ethics. 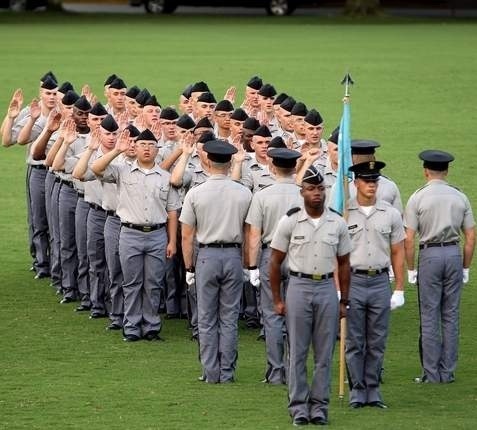 The cadet lifestyle provides a structured environment that supports growth and development of each student’s intellect, discipline, physical fitness, and moral and ethical values. 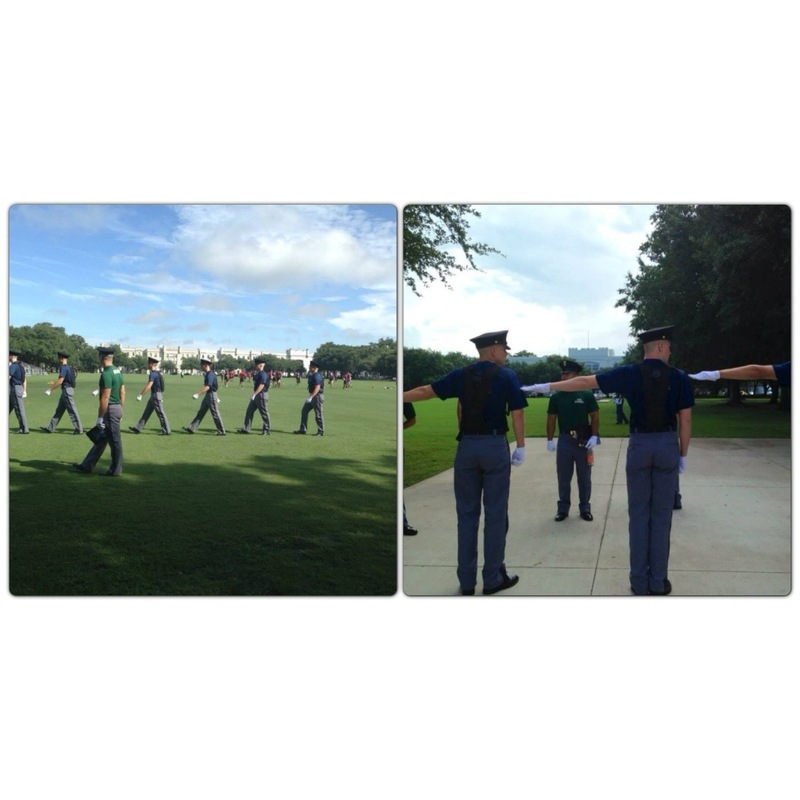 The SC Corps of Cadets is a unique institution that isn’t for everyone. Out of the 2,958 applicants, 781 reported on Matriculation Day and as of the fourth day 32 knobs have dropped out. 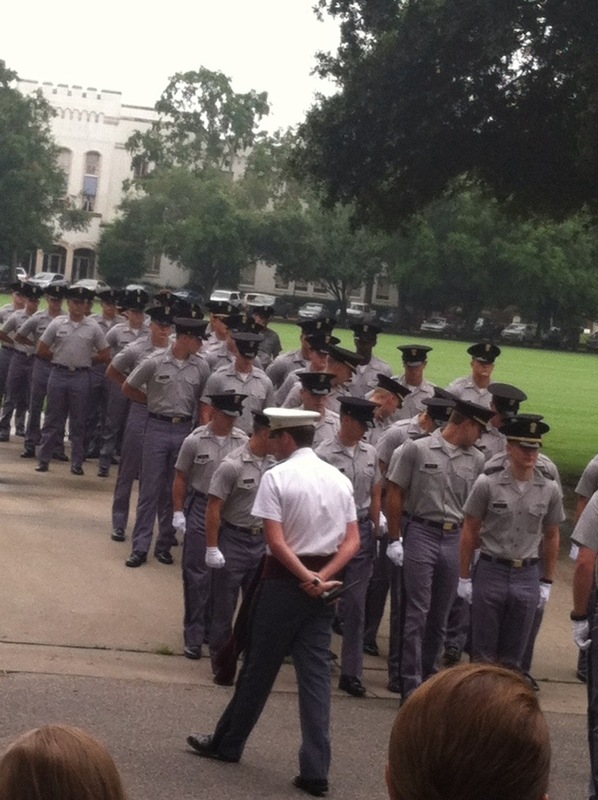 For those who graduate, honor, duty and respect are theirs.